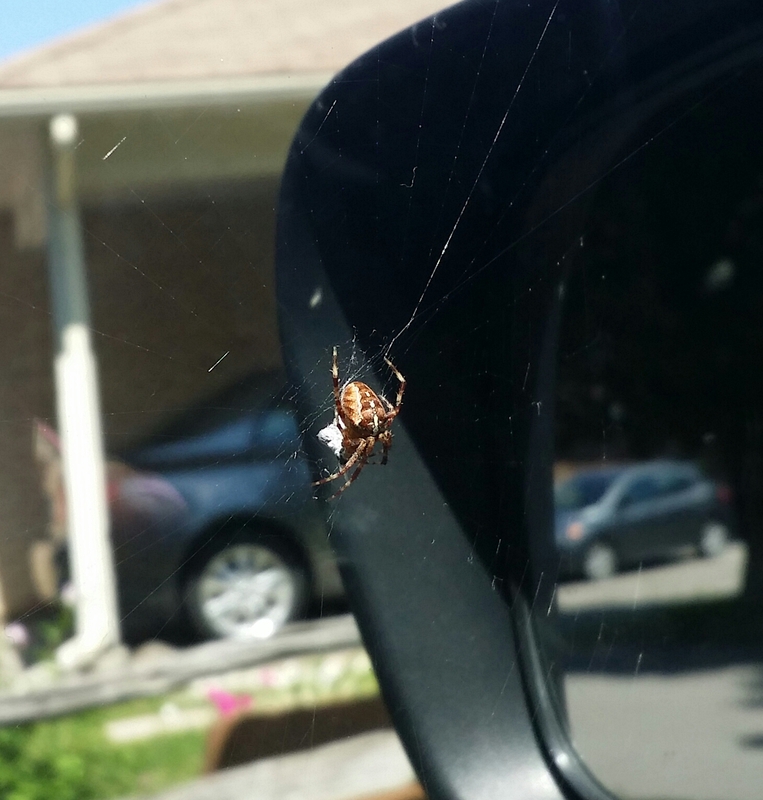 This little guy has been living in my left side car mirror for more than a few weeks now. He’s been to Ottawa and back, also to Mississauga and has made several trips to the local Petsmart with me for cat food. I’m amazed he’s lasted so long. Here it looks like he’s prepping his dinner.